Every business is different and you know your needs better than we do. That is why we have compiled 10 reasons reasons why switching to a hosted VoIP phone service made sense to us. For an emerging or small business, this should be a top priority. All of the phone equipment and infrastructure required for a POTS is eliminated when you switch over to a VoIP phone system. Not only is this a good way avoid a costly upfront investment, but it removes the headache involved repairing and upgrading equipment over time. Once the physical equipment has been eliminated, you will no longer need to consider your communication system when moving to a new workspace, upsizing or downsizing your business, or opening new branches. With a VoIP phone system, you’re free to add and remove lines with ease through a web portal. Since a VoIP phone system is internet-based, you have the option of connecting it to your CRM or other computer database system to provide detailed communication records and notes associated with specific numbers, which both personalizes and improves customer service. This is a huge benefit for modern businesses, as it no longer requires workers to be chained to their desks in order to be “at work.” For example, you could use a phone number with a local New Jersey area code while on an international business trip to make and receive calls thus avoided hefty international fees but also improving accessibility and ensuring you never miss a call or need to record a voice message for your voicemail that can only be checked when you return. If your business provides a service that can be executed remotely, why not use a more advanced phone system to take advantage of cost savings by hiring remotely? Have a team in Brazil work seamlessly with your team in New Jersey. As stated above, with the elimination of physical equipment and the maintenance it requires, costs go down considerably and businesses of any size can choose a PBX that suits their needs, paying only for the number of lines they need at any given point. Advanced features that have to be set up and customized by a professional are now accessible through a simple web portal that anyone can use without any technical know-how. This includes transcription of voicemails, call rerouting, customizable menus, “find me, follow me,” change or record new greetings, record calls, and plenty of other options as well. Just ask if you have a specific concern your business has. For internal communication and collaboration on projects, features such as video conferencing and instant messaging improve employee-to-employee communication on a single, uniform system. Moving your phone system off-site eliminates the possibility of it going down due to a natural disaster, power outage, or hardware malfunction allowing you to continue business as usual. With caller ID, you can set specific instructions for incoming calls from “high-priority” numbers. If your business deals with high volumes of calls, you can reroute certain numbers to go exactly where they will be dealt with most effectively. Given the ability to automatically direct calls based on certain criteria, you free up your employees time to focus on high-value activities rather than using it to direct calls to the appropriate person. We have found the advantages of switching over to a hosted VoIP phone service far outweigh the minor inconvenience of training employees on a new system. 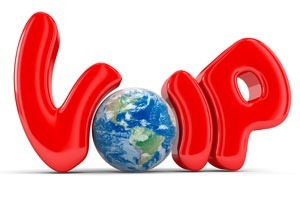 Additionally, when you switch to a hosted VoIP system, your will still be able to keep all your local New Jersey phone numbers and thus you will not need to inconvenience your clients in any way. If you have any additional inquiries about making the switch, feel free to give us a call or send a message today! R-19 is an extension of Hytec Telephone: a family operated business founded in 1983 that focuses on providing the highest level of service to our customers whether it be installing phone systems, carrier services, or cabling. We are based out of Manasquan, NJ but service all of New Jersey. Why Make the Switch to an IP Telephone System?